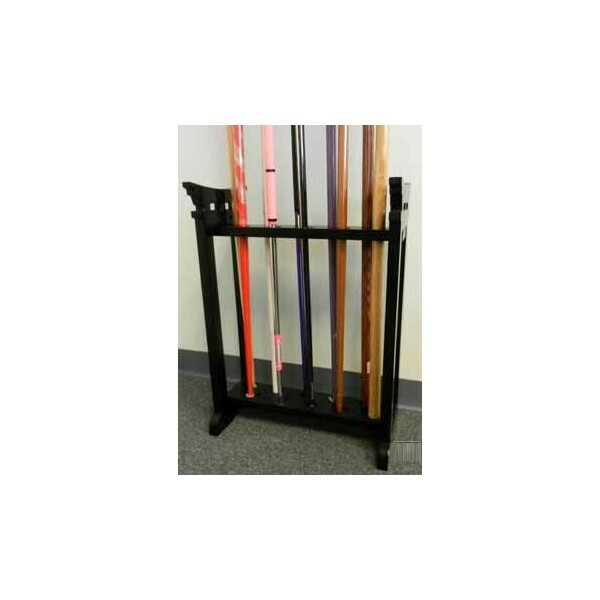 10 Bo Display Floor Rack - Bok Lei Po Trading Inc. Holds up to 10 staffs. 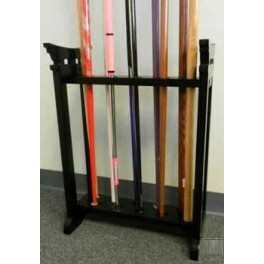 Measures 19-1/2" W, 11" D, 27" H.
Black Wood display holds up to 10 staffs, staffs not included. Measures 19-1/2" W, 11" D, 27" H.